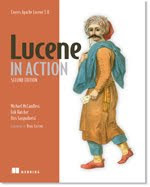 Lucene has great randomized tests to catch functional failures, but when we accidentally commit a performance regression (we slow down indexing or searching), nothing catches us! This is scary, because we want things to get only faster with time. So, when there's a core change that we think may impact performance, we run before/after tests to verify. But this is ad-hoc and error-proned: we could easily forget to do this, or fail to anticipate that a code change might have a performance impact. Even when we do test performance of a change, the slowdown could be relatively small, easily hiding within the unfortunately often substantial noise of our tests. Over time we might accumulate many such small, unmeasurable slowdowns, suffering the fate of the boiling frog. We do also run performance tests before releasing, but it's better to catch them sooner: solving slowdowns just before releasing is.... dangerous. To address this problem, I've created a script that runs standard benchmarks on Lucene's trunk (to be 4.0), nightly. It indexes all of Wikipedia's English XML export, three times (with different settings and document sizes), runs a near-real-time (NRT) turnaround time test for 30 minutes, and finally a diverse set of hard queries. This has been running for a few weeks now, and the results are accessible to anyone. It's wonderful to see that Lucene's indexing throughput is already a bit faster (~98 GB plain text per hour) than when I last measured! Near-real-time reopen latency is here; the test measures how long it takes (on average, after discarding outliers) to open a new NRT reader. It's quite intensive, indexing around 1 MB plain text per second as updates (delete+addDocument), and reopening once per second, on the full previously built Wikipedia index. To put this in perspective, that's almost twice Twitter's recent peak indexing rate during the 2011 Superbowl (4,064 Tweets/second), although Twitter's use-case is harder because the documents are much smaller, and presumably there's additional indexed metadata beyond just the text of the Tweet. Twitter has actually implemented some cool changes to Lucene to enable real-time searching without reopening readers; Michael Busch describes them here and here. Some day I hope these will be folded into Lucene! Finally, we test all sorts of queries: PhraseQuery (exact and sloppy), FuzzyQuery (edit distance 1 and 2), four variants of BooleanQuery, NumericRangeQuery, PrefixQuery, WildcardQuery, SpanNearQuery, and of course TermQuery. In addition we test the automaton spell checker, and primary-key lookup. A few days ago, I switched all tests to the very fast 240 GB OCZ Vertex 3 (previously it was a traditional spinning-magnets hard drive). It looks like indexing throughput gained a bit of performance (~102 GB plain text per hour), the search performance was unaffected (expected, because for this test all postings easily fit in available RAM), but the NRT turnaround time saw a drastic reduction in the noise to near-zero. NRT is very IO intensive so it makes sense having a fast IO system improves its turnaround time; I need to dig further into this. Unfortunately, performance results are inherently noisy. For example you can see the large noise (the error band is +/- one standard deviation) in the TermQuery results; other queries seem to have less noise for some reason. So far the graphs are rather boring: nice and flat. This is a good thing! Just say no to swapping! Imagine you love to cook; it's an intense hobby of yours. Over time, you've accumulated many fun spices, but your pantry is too small, so, you rent an off-site storage facility, and move the less frequently used spice racks there. Problem solved! Suddenly you decide to cook this great new recipe. You head to the pantry to retrieve your Saffron, but it's not there! It was moved out to the storage facility and must now be retrieved (this is a hard page fault). No problem -- your neighbor volunteers to go fetch it for you. Unfortunately, the facility is ~2,900 miles away, all the way across the US, so it takes your friend 6 days to retrieve it! This assumes you normally take 7 seconds to retrieve a spice from the pantry; that your data was in main memory (~100 nanoseconds access time), not in the CPU's caches (which'd be maybe 10 nanoseconds); that your swap file is on a fast (say, WD Raptor) spinning-magnets hard drive with 5 millisecond average access time; and that your neighbor drives non-stop at 60 mph to the facility and back. Even worse, your neighbor drives a motorcycle, and so he can only retrieve one spice rack at a time. So, after waiting 6 days for the Saffron to come back, when you next go to the pantry to get some Paprika, it's also "swapped out" and you must wait another 6 days! It's possible that first spice rack also happened to have the Paprika but it's also likely it did not; that depends on your spice locality. Also, with each trip, your neighbor must pick a spice rack to move out to the facility, so that the returned spice rack has a place to go (it is a "swap", after all), so the Paprika could have just been swapped out! Sadly, it might easily be many weeks until you succeed in cooking your dish. Maybe in the olden days, when memory itself was a core of little magnets, swapping cost wasn't so extreme, but these days, as memory access time has improved drastically while hard drive access time hasn't budged, the disparity is now unacceptable. Swapping has become a badly leaking abstraction. When a typical process (say, your e-mail reader) has to "swap back in" after not being used for a while, it can hit 100s of such page faults, before finishing redrawing its window. It's an awful experience, though it has the fun side effect of letting you see, in slow motion, just what precise steps your email reader goes through when redrawing its window. Swapping is especially disastrous with JVM processes. See, the JVM generally won't do a full GC cycle until it has run out of its allowed heap, so most of your heap is likely occupied by not-yet-collected garbage. Since these pages aren't being touched (because they are garbage and thus unreferenced), the OS happily swaps them out. When GC finally runs, you have a ridiculous swap storm, pulling in all these pages only to then discover that they are in fact filled with garbage and should be discarded; this can easily make your GC cycle take many minutes! It'd be better if the JVM could work more closely with the OS so that GC would somehow run on-demand whenever the OS wants to start swapping so that, at least, we never swap out garbage. Until then, make sure you don't set your JVM's heap size too large! These days, many machines ship with solid state disks, which are an astounding (though still costly) improvement over spinning magnets; once you've used an SSD you can never go back; it's just one of life's many one-way doors. You might be tempted to declare that this problem is solved, since SSDs are so blazingly fast, right? Indeed, they are orders of magnitudes faster than spinning magnets, but they are still 2-3 orders of magnitude slower than main memory or CPU cache. The typical SSD might have 50 microsends access time, which equates to ~58 total miles of driving at 60 mph. Certainly a huge improvement, but still unacceptable if you want to cook your dish on time! Another common workaround is to put lots of RAM in your machine, but this can easily back-fire: operating systems will happily swap out memory pages in favor of caching IO pages, so if you have any processes accessing lots of bytes (say, mencoder encoding a 50 GB bluray movie, maybe a virus checker or backup program, or even Lucene searching against a large index or doing a large merge), the OS will swap your pages out. This then means that the more RAM you have, the more swapping you get, and the problem only gets worse! Fortunately, some OS's let you control this behavior: on Linux, you can tune swappiness down to 0 (most Linux distros default this to a highish number); Windows also has a checkbox, under My Computer -> Properties -> Advanced -> Performance Settings -> Advanced -> Memory Usage, that lets you favor Programs or System Cache, that's likely doing something similar. There are low-level IO flags that these programs are supposed to use so that the OS knows not to cache the pages they access, but sometimes the processes fail to use them or cannot use them (for example, they are not yet exposed to Java), and even if they do, sometimes the OS ignores them! If your computer never runs any interactive processes, ie, a process where a human is blocked (waiting) on the other end for something to happen, and only runs batch processes which tend to be active at different times, then swapping can be an overall win since it allows that process which is active to make nearly-full use of the available RAM. Net/net, over time, this will give greater overall throughput for the batch processes on the machine. But, remember that the server running your web-site is an interactive process; if your server processes (web/app server, database, search server, etc.) are stuck swapping, your site has for all intents and purposes become unusable to your users. Most processes have known data structures that consume substantial RAM, and in many cases these processes could easily discard and later regenerate their data structures in much less time than even a single page fault. Caches can simply be pruned or discarded since they will self-regenerate over time. These data structures should never be swapped out, since regeneration is far cheaper. Somehow the OS should ask each RAM-intensive and least-recently-accessed process to discard its data structures to free up RAM, instead of swapping out the pages occupied by the data structure. Of course, this would require a tighter interaction between the OS and processes than exists today; Java's SoftReference is close, except this only works within a single JVM, and does not interact with the OS. Until this problem is solved for real, the simplest workaround is to disable swapping entirely, and stuff as much RAM as you can into the machine. RAM is cheap, memory modules are dense, and modern motherboards accept many modules. This is what I do. Of course, with this approach, when you run out of RAM stuff will start failing. If the software is well written, it'll fail gracefully: your browser will tell you it cannot open a new window or visit a new page. If it's poorly written it will simply crash, thus quickly freeing up RAM and hopefully not losing any data or corrupting any files in the process. Linux takes the simple draconian approach of picking a memory hogging process and SIGKILL'ing it. If you don't want to disable swapping you should at least tell the OS not to swap pages out for IO caching.